Were you wondering if it's too late to sign up for the quilt along? Good news! 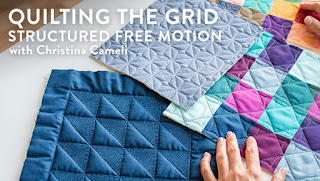 The quilt along is something you can do without signing up at all, just by reading the instructions that I post on the blog, and following along at home. It is definitely not too late. I am adding a formal list of participants though, so we can all see who’s participating and discover new blogs. Sign up below if you would like your blog to be included in the list. Remember, you do not have to sign up on the list to participate in the quilt along! If you’d like to sign up but don’t have a blog to link to, you can add yourself to the list with a link to your photostream on Flickr. Please note that it takes a few minutes for your link to appear after you submit it. If it still doesn't appear after 5 minutes, let me know in the comments and I will try adding it for you! And speaking of Flickr, I’ve created a Flickr group just for this quilt along. I hope you will join the group. It will be a great place to share photos of the quilting you’re doing. It also has a discussion area and I think that will be really useful if you are struggling with a certain step in the process. You can post to the group for help from myself and others with experience. 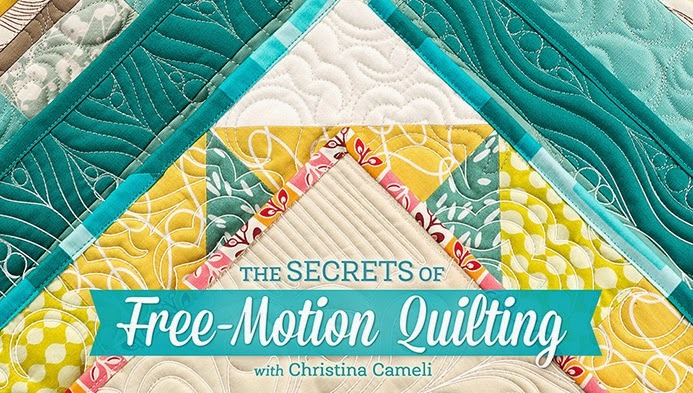 Readers with lots of free motion experience, I hope you will drop by from time to time to see if you can offer helpful advice to a quilter just starting out. Finally, to my Spanish speaking followers, I’ve added a translator widget over on the right side. I hope it will be helpful to you! i posted my link but it's not showing--i'm not seeing anyone else's either, so don't know if i've done something wrong! I am really (really really) excited about this! I've got fabric, batting, needles (universal, unfortunately, as my local fabric store is putifully stocked), and bent safety pins. Me gustaría poder aprender a acolchar, espero que no sea tarde para apuntarme. Looking forward to this - but I have the same problem as Eileen. I tried three times and still nothing I see now three that worked ,I'll try again latter. Went shopping yesterday and picked up a craft-size batt, topstitch needles, and some Fons & Porter machine quilting gloves. I just added a link to my blog; now I just need to assemble the practice top! I am so looking forward to this! Thank you! all i need now is masking tape (craft store was OUT--how is this possible?!) and to figure out just what kind of darning foot my 1977 Kenmore needs... and then pray shipping takes a few days, not a few weeks! VERY excited am i! OOOh, this is exciting! I'm READY!!! I tried twice to post my link...not showing up like Eileen and a few others? Hope this helps me get over the problem of --- it doesn't look good. Picked the ugliest material I could come up with so I wouldn't become attached to it. Got the top sewed together now I need to find something for the backing. Am looking forward to starting. very exciting! I too (like Eileen and others) signed up but didn't see my name on the list! 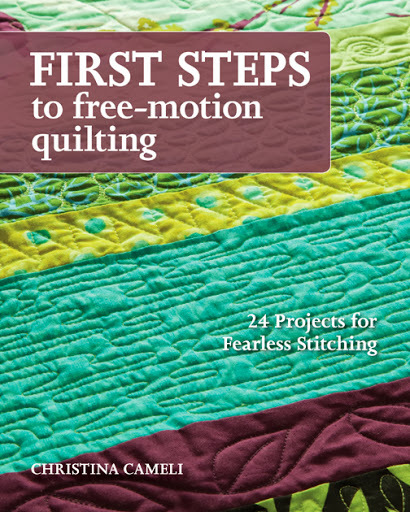 I have been reading and watching, not sure what quilting I will be doing. 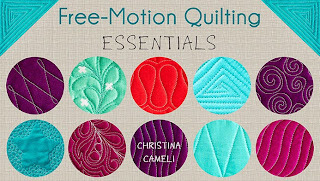 I have projects to finish, so will be working on those, but love to learn how to use my machine better and more about free motion. Yesterday my bobbins did not want to wind, so gave up and will try and figure out what is going wrong. 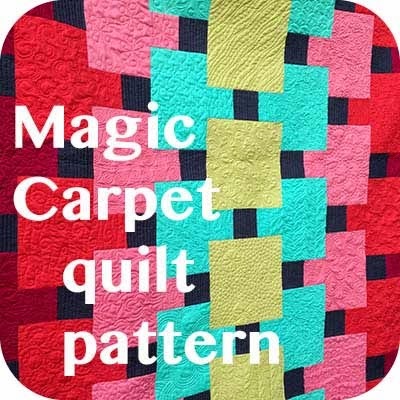 I am very excited to be quilting along with this project. I know you'll fix the link thing eventually. I will have to figure out the flickr thing. That is new to me! I have tried 3 times now to link my blog here with no results. Will try again later. Hola, como estas , me gustaria aprender acolchado libre, espero estar a tiempo. Saludos desde Argentina. I certainly going to give this a try. and I really need a push and a shove to stick to it. I just finished up my top last night. I'll have pictures up on my blog doubletime. Wheee! I'm still trying to pick out my fabrics - had to baste a quilt today, but tomorrow I'm making my fmqa top! Look at your beautiful stitching up there...oh my. Hola, Christina! He cumplido el primer objetivo y subido al blog. Yo hice las cuatro tiras como Ud. pidió. Debemos unirlas entre sí o esperamos sus instrucciones? Acabo de publicarlo en mi blog, cargué mi enlace (quedé bajo el N° 54) y también lo subiré a Flickr! Gracias por el traductor para las que usamos el idioma español! Un abrazo! Cleaning up projects to get started.....just need a few items then will be ready. I added my name/link to the list but I must have done something wrong as it took 2 times. I am number 48 & 57, but the link for 57 works. I don't know how to remove 48, sorry. Christina,thanks for organising..it's a lot of work to maintain a quilt along and I really appreciate your effort. I don't want to miss out all the fun here. 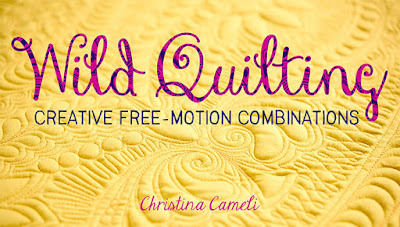 Looking forward to learning more about machine quilting. Count me in. I have added my info, but, it's not showing up. I have just set up my blog, Samatha's House, and I am struggling learning the ropes but I really want to sign up for the quilt along. I am learning FM and I know this is a good project for me. I hope my entered info shows up correctly. Thank you for hosting this quilt along. I'm currently in the middle of moving and won't get to start right away. O do plan to get started with mine soon. Hope it's not ended before I begin. I'm number 74 but the link doesn't work for some reason can you tell me what is wrong. I signed up this evening, but nothing has shown up for me in the list. What a wonderful blog and idea this is for those wishing to extend their machine qilting skills! I signed up two times. Would You be so kind and put me on Your list. My blog is named Heikesquilt. I am having trouble signing up. I did it twice yeserday, but I didn't make the list. Me gustaría aprender ¿Qué puedo hacer? Mandé mis datos hace días, pero no sé si lo hice bien. Hi, Christina! I'm so excited about this quilt along. I've signed up 3 times but it's not accepting my link. Please add me...! Thanks and cheers from Taiwan! Thanks for doing this! I'm looking forward to it. I've done a little FM quilting before but I still have a lot to learn. It will be fun to learn together! Great timing for me to get your link from Linda on the Yahoo Stashbuster's group! I just started FMQ with Leah Day's links - but have been at a stand still. Ready to start again so reading your posts now to be sure I'm all ready to start when you do! Thanks for organizing this! I posted my link this morning. Hope your weekend is great. We were 72 degrees here yesterday and they tell me more of the same today. 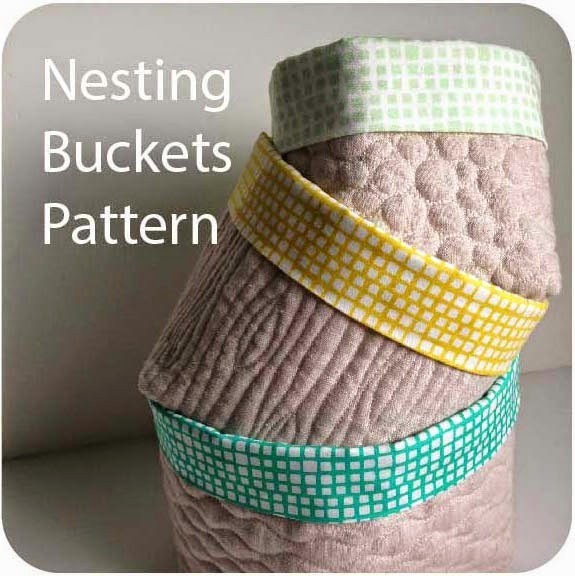 A quilt along and a GIVEAWAY!